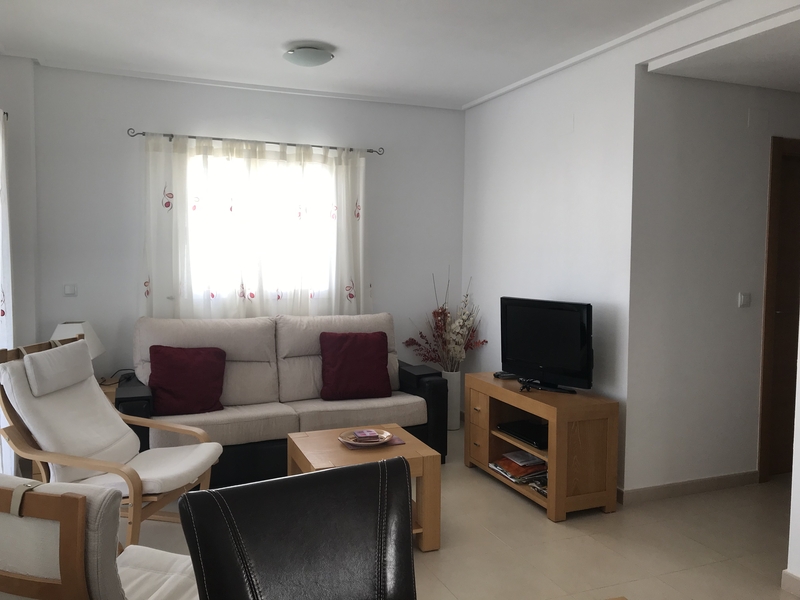 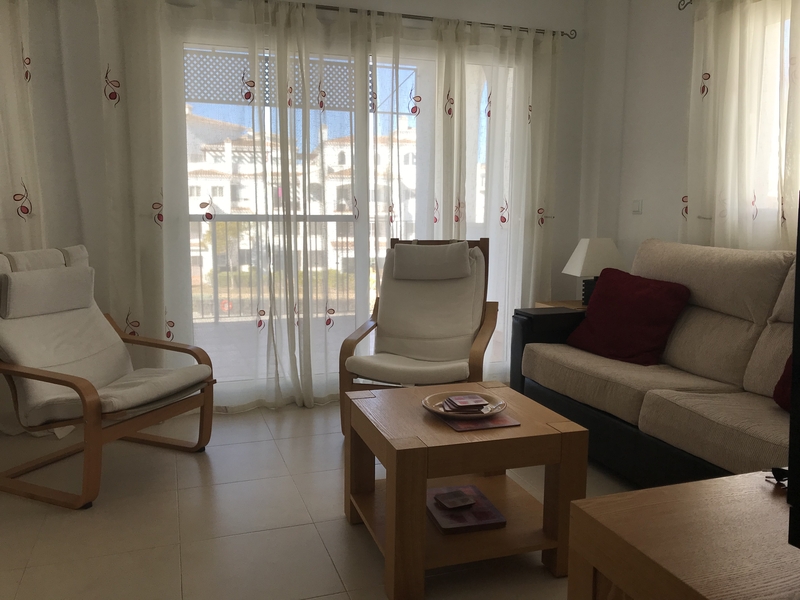 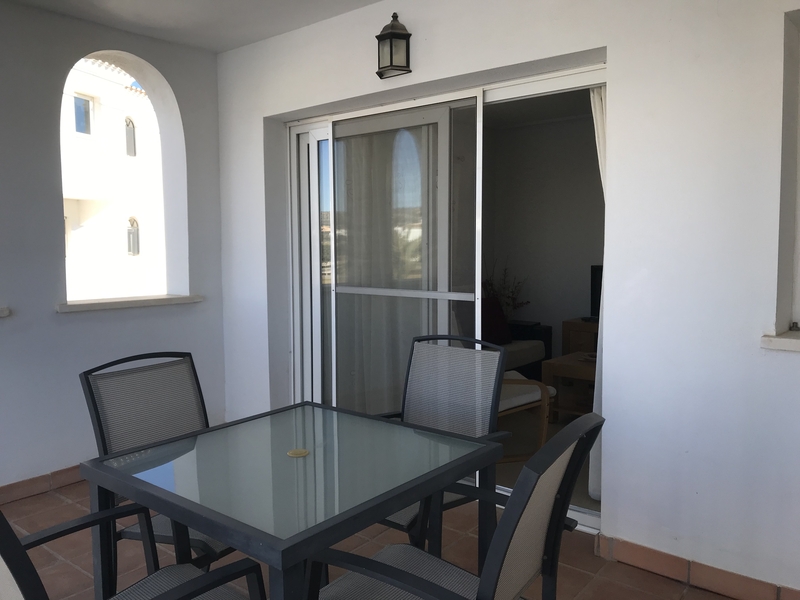 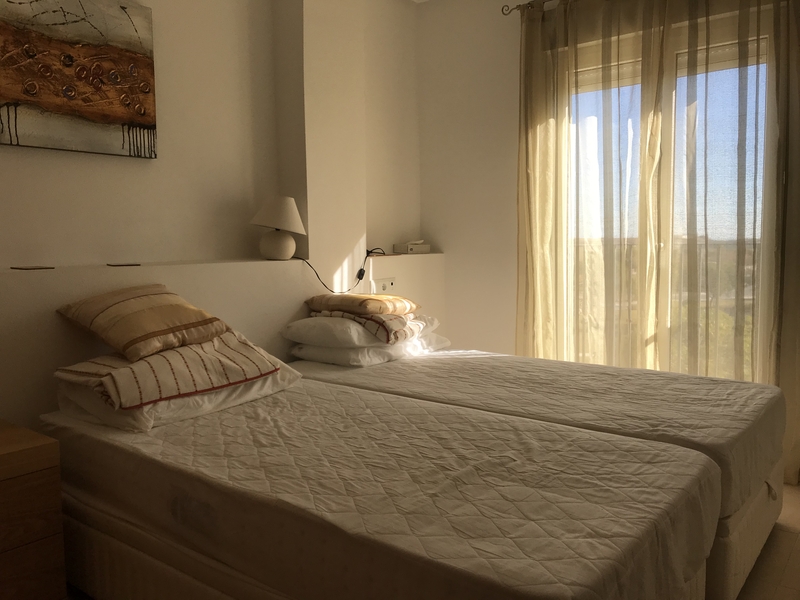 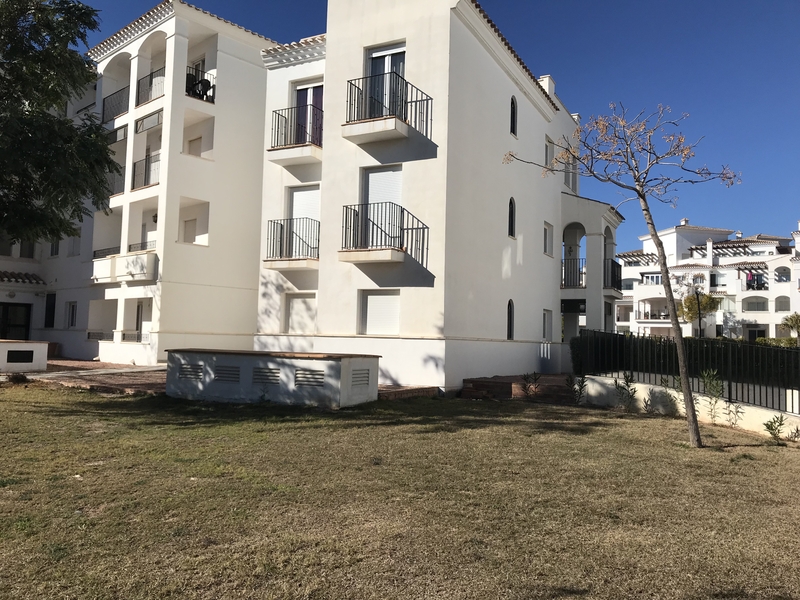 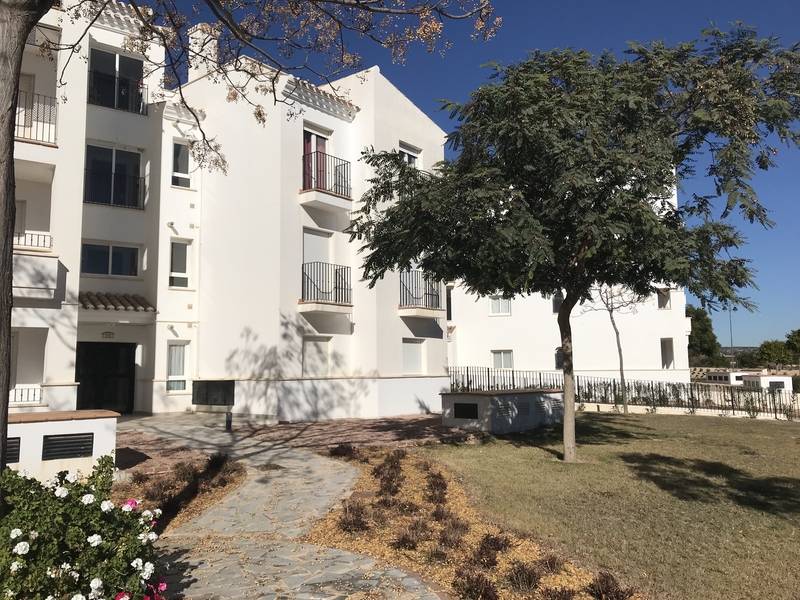 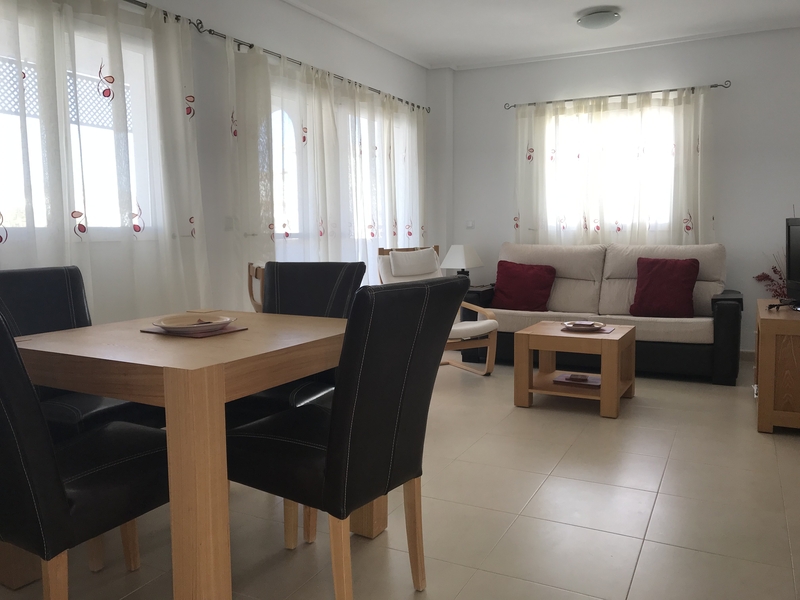 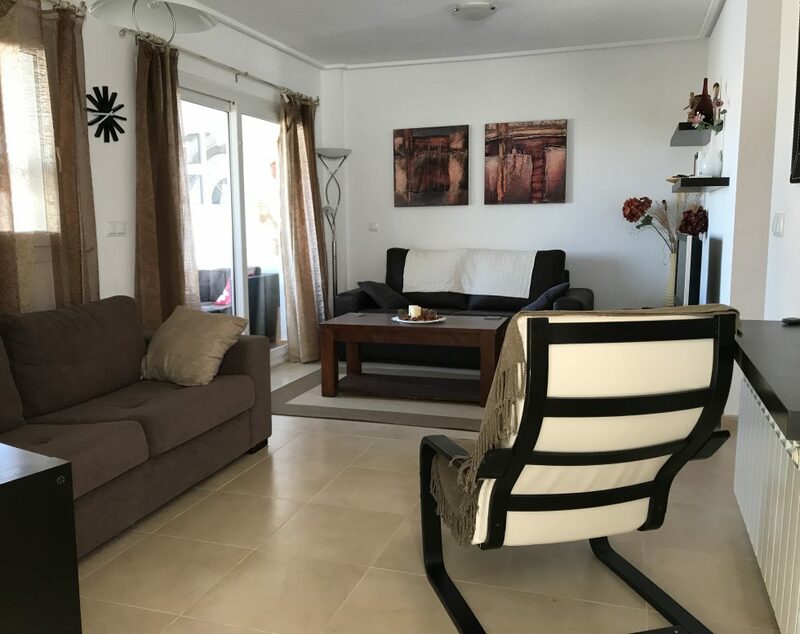 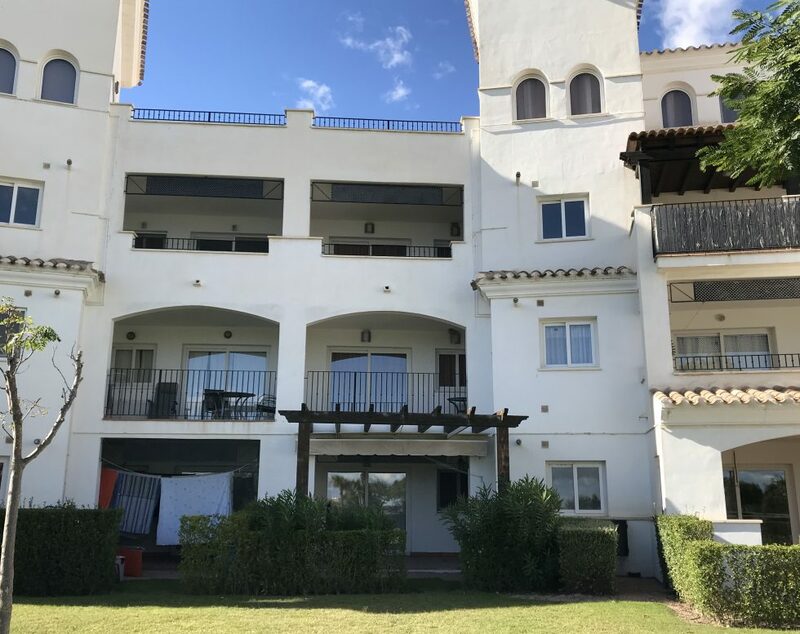 A lovely 2 Bedroom 1 Bathroom Second Floor Apartment situated in a great location along Calle Indico, within easy walking distance to the Club House and Restaurant. 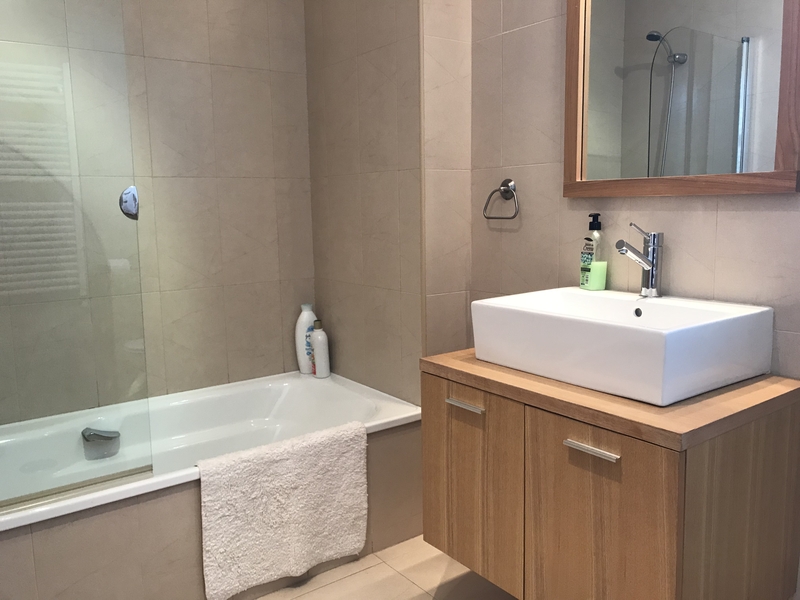 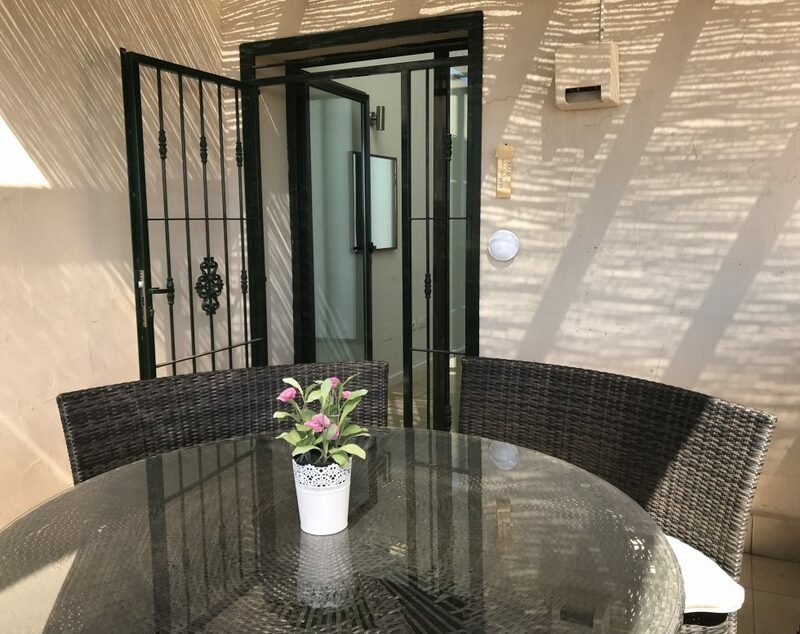 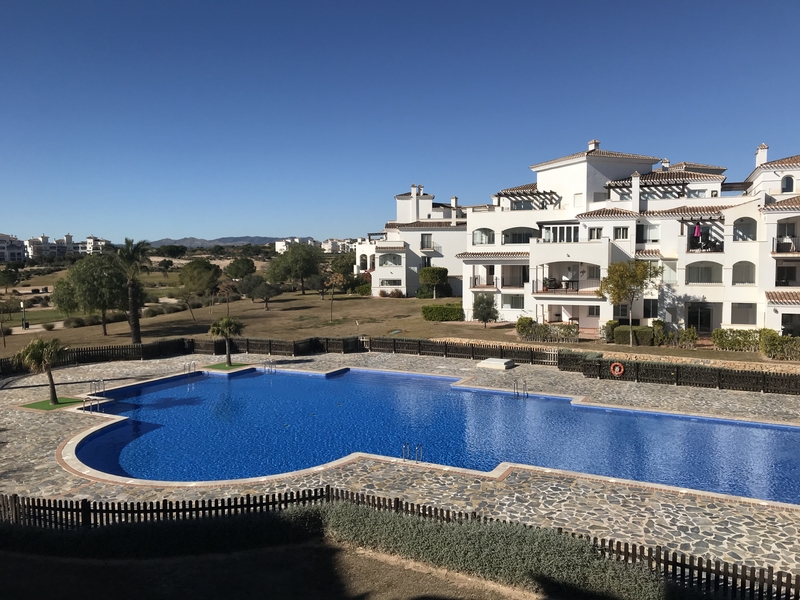 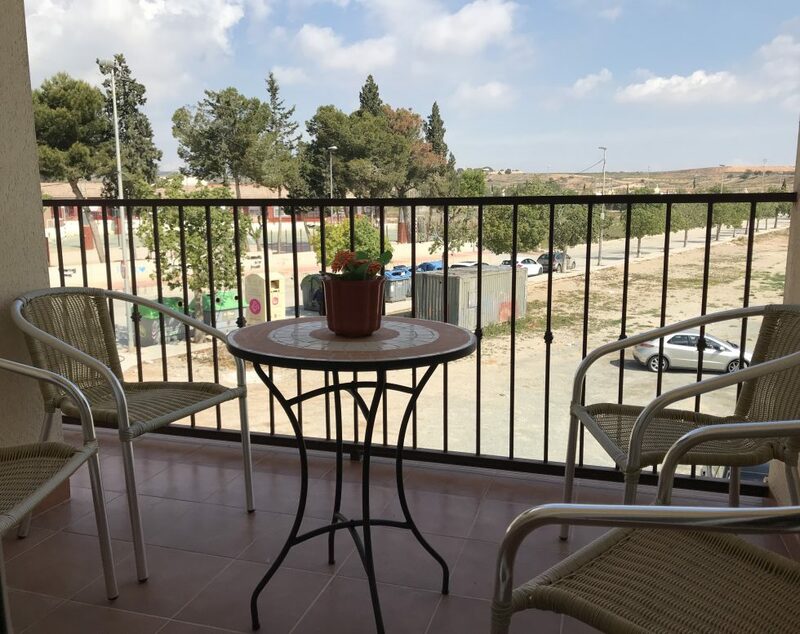 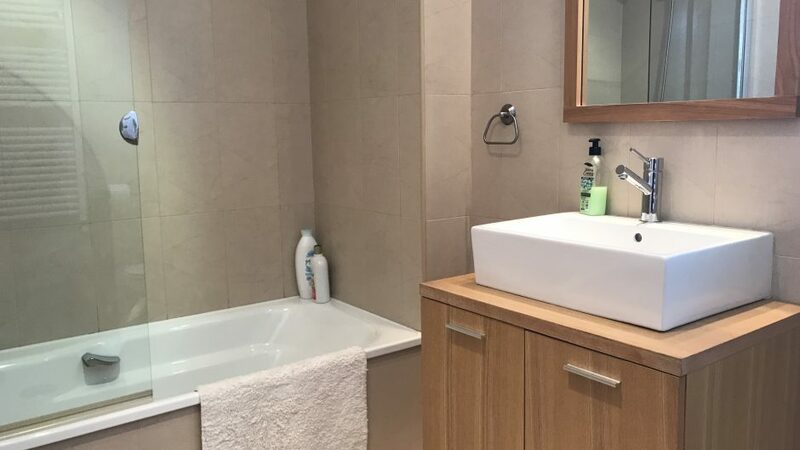 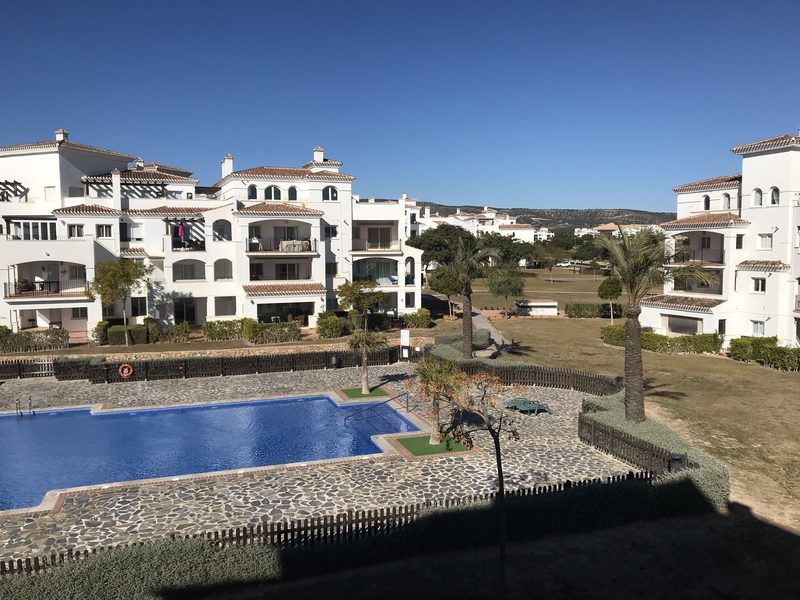 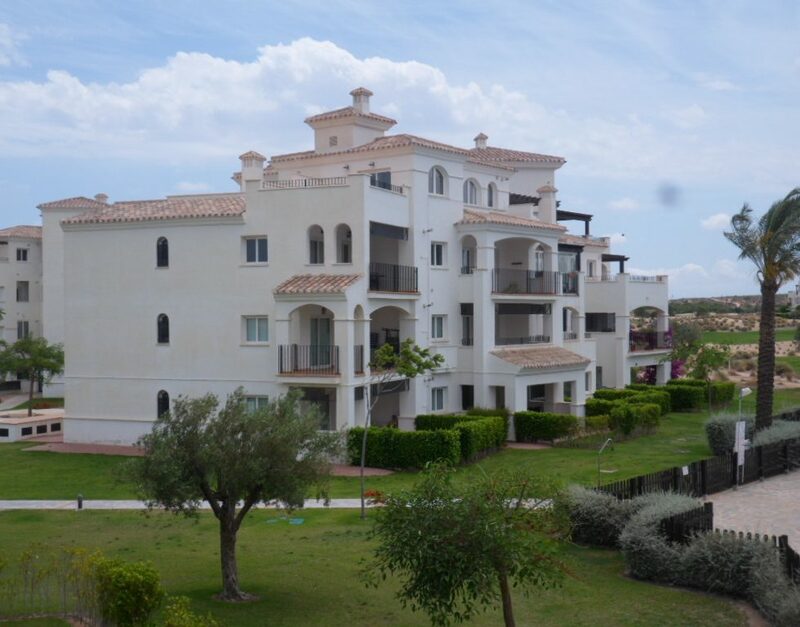 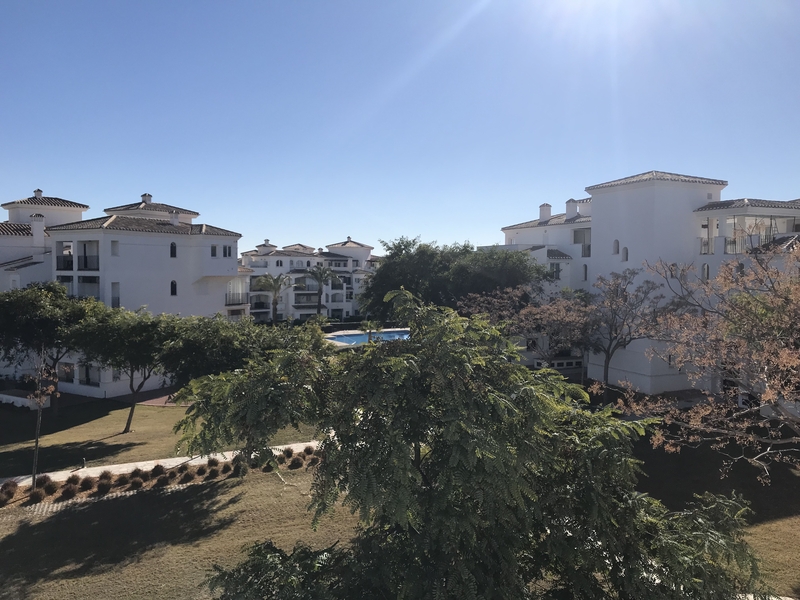 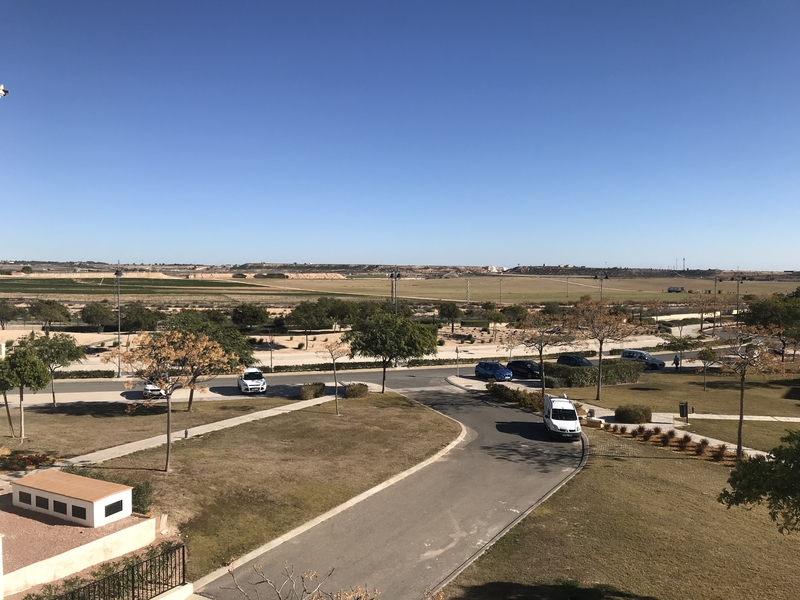 This Apartment is well furnished and benefits from an open plan Lounge/Dining Area with Patio Doors opening to a private Balcony with lovely views of the nearby communual Swimming Pool and the 11th Tee. 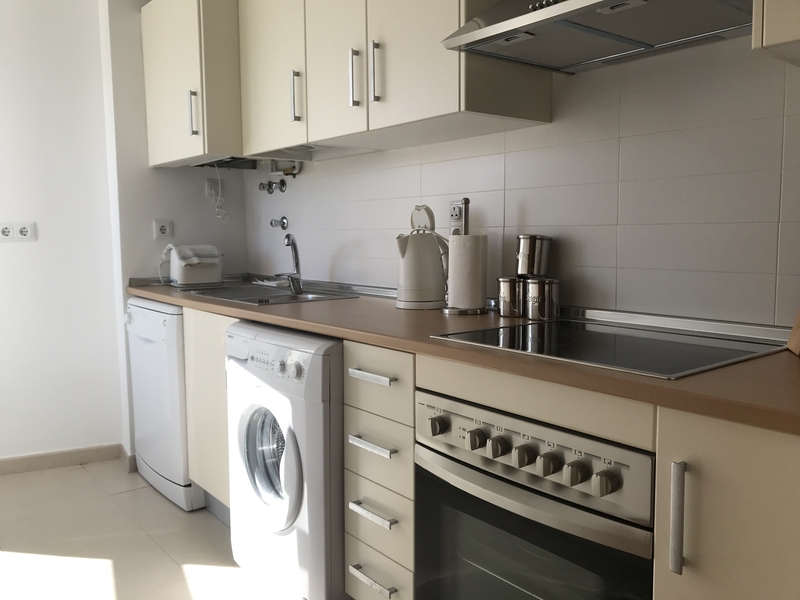 The separate Kitchen is modern and well equipped. 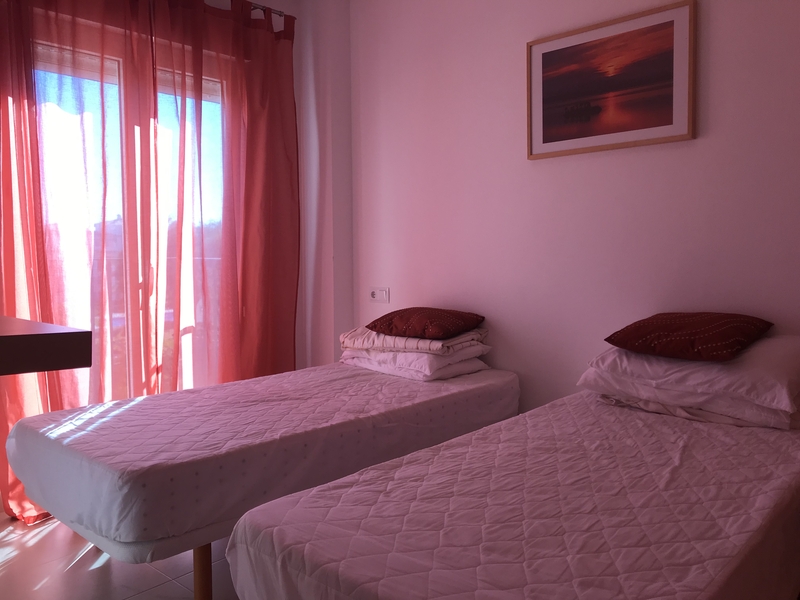 Both Bedrooms are a good size and have fitted wardrobes and enjoy views of the local Countryside.